Idaho Pit Bull Rescue View other Pit Bulls for adoption. Meet Tasha! Tasha was a rescue dog from Japan but found herself in a Utah shelter, stressed and afraid. We rescued her from her 'rescue gone wrong' and found her to be a sweet senior girl that just LOVES to be touched and loved on! Her paperwork places her age at 16 but she does seem, and act, 3-4 years younger! Her foster mom has worked hard to help her overcome some bad habits like resource guarding and dog selectivity, but she still needs a furever home that will 'keep her honest' :-). 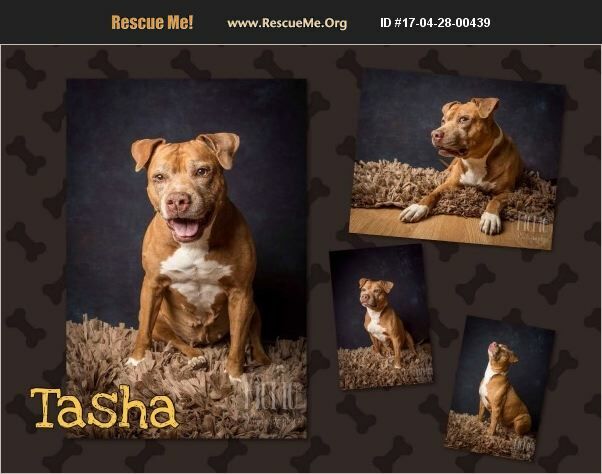 Tasha is up to date on vaccinations, spayed, crate trained, snuggle trained ( ;-) ), potty trained, and is working on her leash skills.